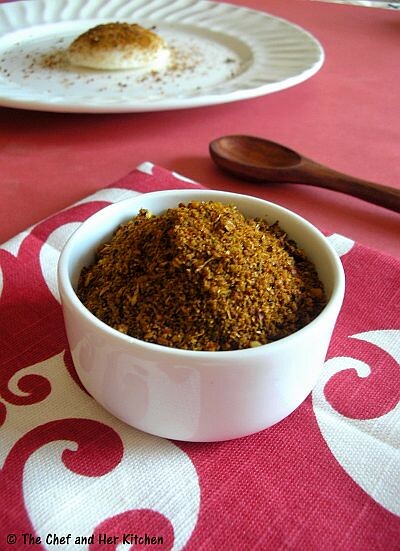 I had mentioned so many times that my MIL is an expert when comes to pickles and powders.Every year she sends me a huge supply of various kinds of pickles and powders which lasts in my pantry at least for few months.This is one of the famous powders/podi recipe of Andhra.It was quite new to me when I had for the first time and liked it instantly with idli,It is a very versatile powder and can be eaten with idly, dosa, paniyaram or uthappam.I love to sprinkle this podi over dosa for a variation. Clean and wash curry leaves and remove extra water and spread it on a dry cloth to let the leaves dry completely with out any water.Leave it for 3-4hrs. Heat 1/2 tsp oil in a thick bottomed kadai and fry chana dal until it is red in color and remove it and keep it aside. Again heat 1/2 tsp oil and add urad dal and fry until it is red in color and remove it and keep it aside. Again heat 1/2 tsp oil and add coriander seeds and fry until they turn slightly brown and remove it and keep it aside. Heat 1/4 tsp oil and add cumin seeds and red chillies and fry until crisp and remove it and keep it aside. Heat 1/4 tsp oil and add curry leaves and fry until they are crisp and remove it and keep it aside.Switch off the flame. While the kadai(pan) is hot add tamarind and fry for half a minute and keep it aside. Once everything comes to room temperature grind fried chana dal,urad dal,red chillies,cumin seeds and coriander seeds to a coarse powder. 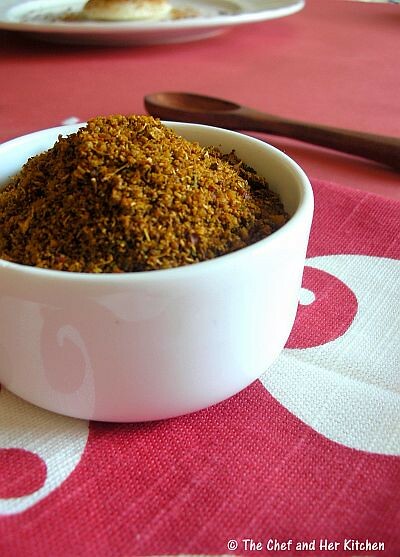 Add fried curry leaves,salt and tamarind to it and grind again to a coarse powder. Add whole garlic pods(with skin) and run it in whipper mode now or run it just for 30 secs in the regular mode.The powder should be coarse not very fine. Once it cools remove it and keep it in a air tight container. This stays fresh for long,approx 2 months. Serve this powder with Idli/Dosa/Uthappam/Paniyaram.While serving it make a well in 1tbsp powder in the plate and pour 1/2 tsp ghee in it and mix well. Make sure you fry all the ingredients well and let the curry leaves be completely dry. Always use a dry spoon when taking out the powder. Keep it in air tight container to seal the aroma of this podi. I gave the amount of salt approximately,please add the required amount using your judgement. Hey prathiba , lovely pics and even i am a sucker for diff podi's and chutneys ....So tempting the cliks are tht i will give tis a try asap. I loved kaarapodi..And the way you presented,too tempting. 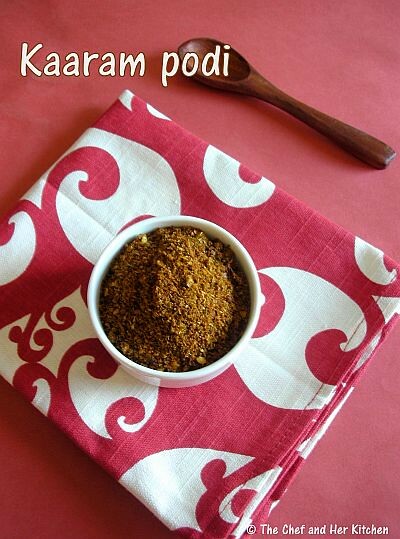 wow...what a flavorsome podi!! !Must try this one out..
Bookmarked. Thanks for sharing Prathiba. Yum yum,just drooling over that idli topped with podi,super tempting. pics are stunning ;loved it - hey there is a giveaway in my blog, do check it out ! Hey Pratibha these pictures have me drooling. Love it man. 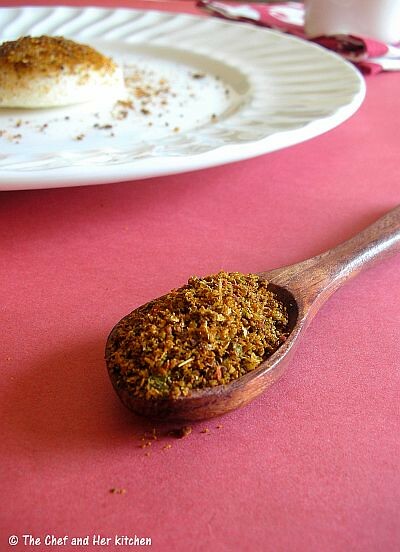 flavourful podi...looks tempting...love the way you have presented...nice clicks. 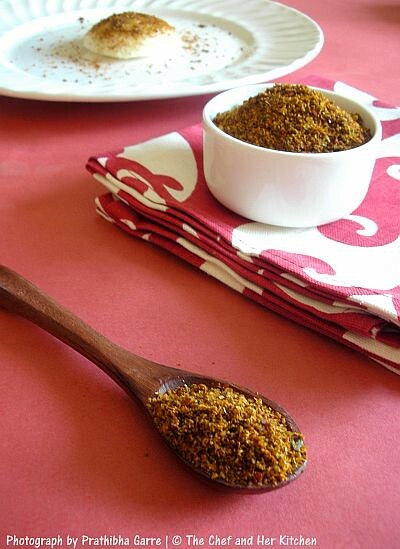 Karapodi looks delicious with your beautiful clicks dear.., the last click is superb..
Drool worthy pics of this yummy podi..
have u used standard measuring cups and spoons for the measurmrnts?and one more question...can we add abt 1 cup of curry leaves while grinding? really nice to visit this website.for the first time i have seen this. awsome no. 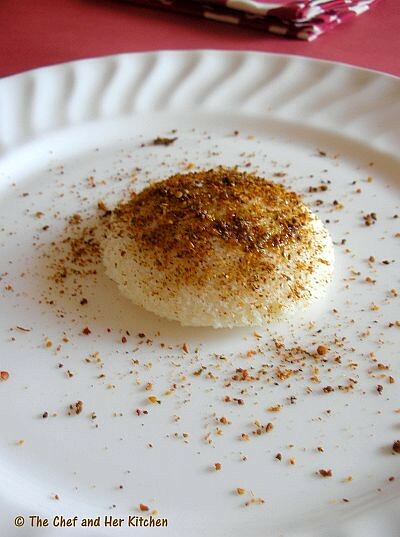 of recepies.i tried idli karam podi for the first time n it came really nice. keep rocking with new recepies.